What do you think of whenever the word “marketing” is mentioned? Most likely, it involves huge budgets and campaigns like those launched by big name brands such as Coca-Cola and Walmart. The truth is, you really don’t need a huge budget to market your business. Many of the marketing channels today are easy for you to do on your own and they barely cost anything. This is a big win for small business owners like you! To help you increase your online presence, here are some effective marketing strategies you can start doing today. 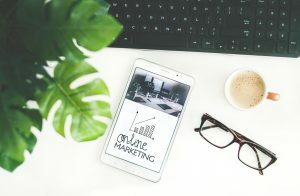 Before you start worrying about Facebook posts, tweets, and other marketing strategies you must work on the most valuable online marketing tool you have, and that’s your website. You can use it to market and sell your products. It is the place where you can build relationships with new and prospective customers. A website allows you to generate leads, share valuable information, test ideas, and more. However, there is more to having a website than just creating one and publishing it online. It’s vital that you make it work for you as well. One way to do this is by having a sign-up box to acquire the email addresses of prospective customers. Use your home page to attract attention or showcase your latest special offer. If you update your website regularly, it allows search engines to find it better and improves your ranking in search results. With your website created and published, you can now write your own blog. It’s a great way of showing potential customers exactly who you are as a brand and what you can offer. The idea is not to be overly promotional, but to engage prospects by entertaining and informing them. There are many ways a successful blog can have an impact on the success of your business. First, it forms a connection with your customers. Second, it establishes brand credibility when you post regularly. It also shows you’re an expert in your field. When you provide customers with valuable information, it keeps them engaged. Social media is another powerful marketing tool. There are many platforms to choose from such as Facebook, Twitter, Instagram, Pinterest, LinkedIn, and Snapchat. The most valuable thing about social media is that it’s free. Small business owners with a limited marketing budget can promote their business without spending any money. Instead of signing up on all platforms, think about your target audience and choose the ones they most likely use. For most businesses, Facebook is the most viable option, although its new algorithm updates have made it much more difficult for your business to be visible. The trick is to post regular updates. Be engaging and exciting without being too promotional. Your customers are going to be looking for posts that are interesting. Instagram is another platform that’s become increasingly more popular and is particularly beneficial for businesses that are more visual. A photographer, fashion designer, or restaurateur is going to find Instagram very useful. If you’re worried about how to take advantage of the many marketing strategies available, there is a wealth of information available online. You can even study for a BBA in marketing and enhance your qualifications and professional development. If you’ve got a good customer base, then an email campaign is a good way to keep them informed about special offers. You can also remind customers you haven’t connected with in a while of who you are and what you do. You might have the email addresses of prospective customers who haven’t decided to do business with you yet. Sending them an email gives them another opportunity to consider if they should do business with you in the future. When sending out emails, make sure it’s relevant and useful to your target audience. YouTube has become another social media platform that deserves a place of its own because it’s such a powerful resource for business owners. Video tutorials are popular at the moment because it adds value to viewers. They are effective in reaching a larger audience. Make videos in short, digestible formats and make sure that they have high-quality content. To generate leads for your business, all you have to do is include a link to your website where they’ll find other relevant content. People don’t use telephone directories anymore. Instead, they go online and look at listing sites such as Angie’s List, TripAdvisor, Yahoo, or Google Local. Having your business listed in such places provides huge potential for reaching a larger audience. It also helps customers find a local business through reviews. Being listed is also good for SEO. If you want to use this particular marketing strategy, you have to be very subtle. It’s not about dropping spammy links wherever possible. It’s more about finding a forum that’s relevant to your business and joining in conversations. You add value by chatting with others, offering suggestions, answering questions, and generally, being helpful. The link to your business should be dropped in as a last-minute thought in your signature if you’re allowed to. Offer something for free when you can. It doesn’t have to be something huge. A free 10-minute consultation or a product that won’t cost a lot is enough to offer as a giveaway. Just remember to ask for their contact details and take the opportunity to upsell something in the process. These are just some of the many ways you can market your business online. Start by maximizing the free platforms available for you. Couple that with excellent and relevant content. Soon enough, you will reach a wider audience, enhance brand credibility, and increase profitability when you do these things consistently. Our virtual assistants can help you market your business online. Contact us to find out how we can work together!